Olivetti TC100 Time Clock Cards come in packs of 1000. 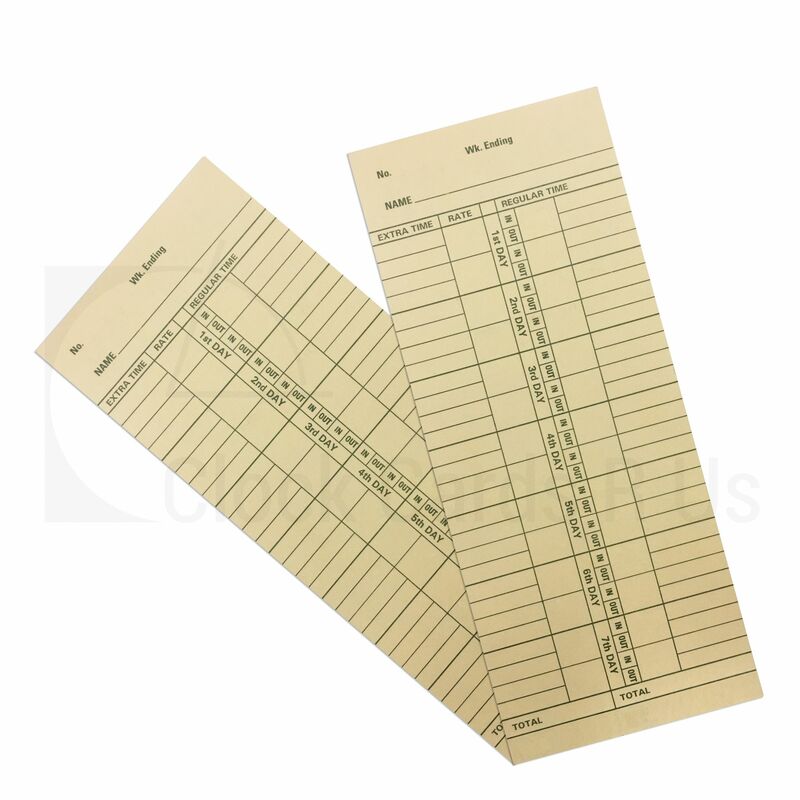 Our clocking in time cards are precision cut so perfect every time. Compatible with numerous clocking in machines and mechanical time recorders. Customer service was very helpful and got my clock cards to me the next day. By far the cheapest clock cards I have found for my Olivetti clocking machine and great quality. Was also delivered the next day so very happy. Clocking in machines have been trusted by companies for over 100 years, helping to ensure correct records of time and attendance with how many hours their employees are working to allow correct wages to be paid. There are many good reasons why a business should use the clock card system, we have listed three of those reasons. Clocking in machines are not only important for companies to keep a record of how many hours an employee has worked, it is also peace of mind for employees, being able to keep their own record to make sure they are not underpaid for the hours they have worked. Having a clocking in machine stops fraud and is a reliable record of the hours worked to make sure the correct wages are being paid. In any emergency it is vital to know who is in and who is out of the building. This can help save life’s of not only the employees but the emergency services who know will know exactly who’s in the building. Clock cards simplify the process of payroll making it quicker and more accurate. Having an accurate record of attendance and hours is beneficial for both the employee and the employer, making it a vital piece of equipment to have within any business.